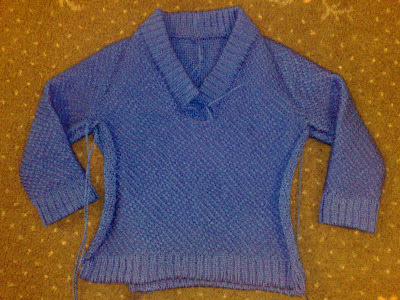 I have nearly completed this sweater I have the neckband done it just needs to be sewn down to make the V shape, all the raglan seams are sewn and the sleeve seams are also sewn. I just need to sew up the two side seams and then sew in all the loose ends and it's finished. I will post a picture of the finished jumper. Am I correct that you are doing a crossover neckline? Looking forward to seeing it all sewn up. It looks lovely! yes Maureen,you absoloutly correct it is a crossover neckline, I just need to sew up one more seam weave in the ends and it's finished. Finished but what am I like! Hi, my names Alex and im a fanatic for machine knitting and I LOVE collecting and restoring old vacuum cleaners!